July 2016, back to Abu Dhabi, the departure and arrival host city: powered exclusively by solar energy, Solar Impulse completed its tour round the world initiated in March 2015, after covering more than 40,000 km, flowing over 2 oceans, breaking 8 world records. We congratulate Bertrand Piccard and André Borschberg for this extraordinary achievement, which marks the successfully closing of a project started 13 years ago. We are extremely proud and honored to have been throughout all these years a partner in this visionary and far-flung project. The idea of designing, building and flying a zero-emission aircraft around the world was totally aligned with our unwavering commitment to develop transformative clean technologies that ease dependency on carbon-emitting fossil fuels. It was yet another chance to demonstrate chemistry’s ability to "make the impossible possible" and we could not miss it! Since 2003, our dedicated teams of scientists, engineers, dreamers and innovators have collaborated closely with like-minded individuals from Solar Impulse and leading technological partners to do away with convention. 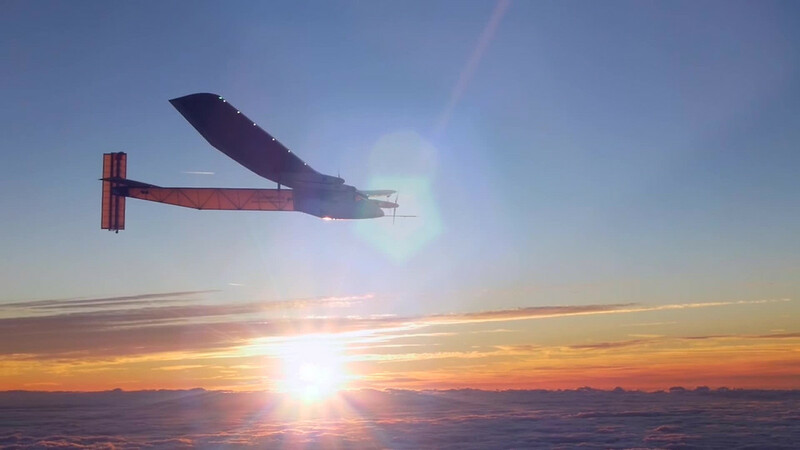 Instead we developed clean-sheet solutions to dramatically improve the energy chain, enhance the structure and reduce the weight of the solar-powered aircraft – crucial elements that are helping to make this historic flight a success. Discover #Future Is Clean initiated by Solar Impulse. A pioneering and futuristic project which resembles us, Solar Impulse sparked our commitment and involvement. And, we are proud to have contributed to it. Watch the video "Thank you Solar Impulse"